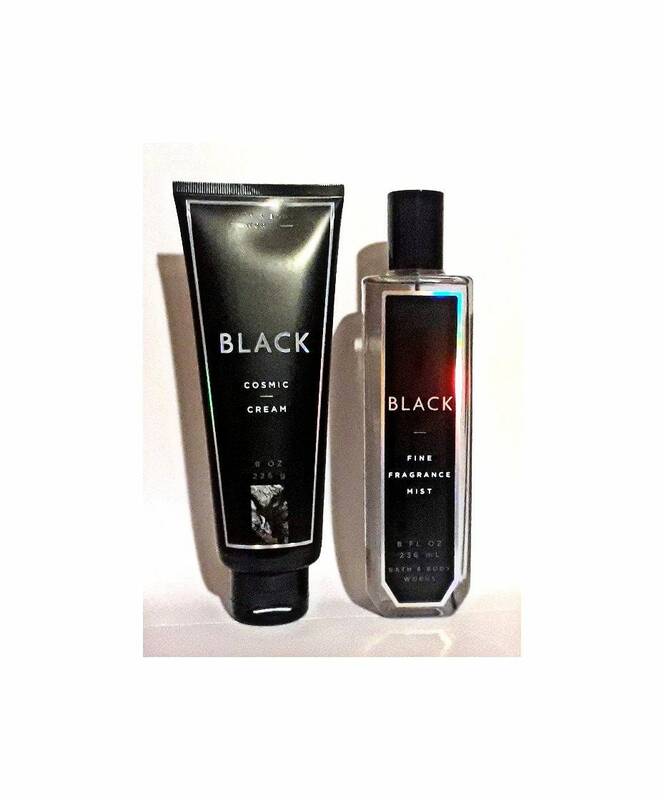 Black by Bath & Body Works 8 oz Fine Fragrance Mist Spray & 8 oz Cosmic Body Cream. The lotion was used once, the cap is broken. The fragrance mist was sprayed only once. 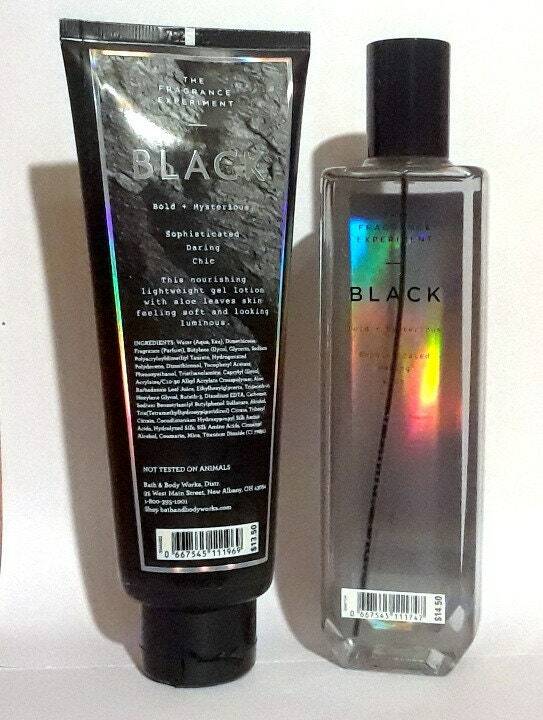 This was a limited edition fragrance that BB&W no longer carries. 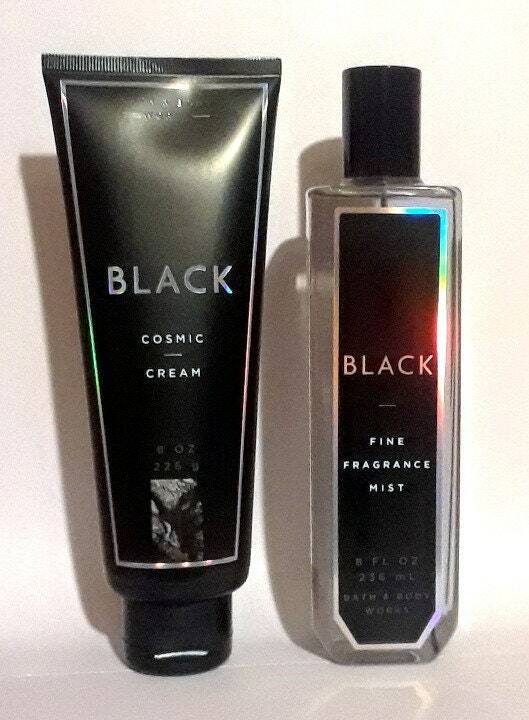 Bath & Body Works Signature Collection BLACK Cosmic Set - Body Cream and Fine Fragrance Mist Set. 8 oz Body Cream. Our body cream with warm, woodsy and flirty floral notes is nourishing and lightweight. Aloe-gel lotion leaves skin feeling soft and looking luminous.